OSAGE | The Osage High School art show, entitled “Artistic Exposure,” will be unveiled from 6:30-8 p.m. on Tuesday, April 22, at the Mitchell County Historical Society Museum, at the Cedar River Complex. The show, featuring students of Ryan McInroy and Cyndi Spears, features art from high school first- and second semesters. Classes included Introduction to Art, Graphic Arts, Digital Photography, Drawing/Printmaking, Pottery, Exploring Color and Mixed Media. High school students selected art pieces they wished to be displayed. 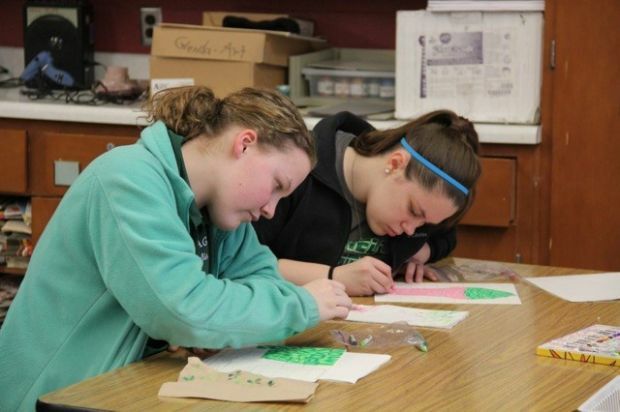 Some students took more than one art class and may be exhibiting more than one piece. “Most high school students have mixed feelings about showing their artistic talents,” said Spears. “Most feel some of time that their work doesn't measure up to their own tough standards. Displaying your art is always an emotional risk. The exhibit will remain in place through June 7, the Osage Alumni weekend.